Semi-Automatic vs Automatic Espresso Machine: Who's Pulling the Shots? 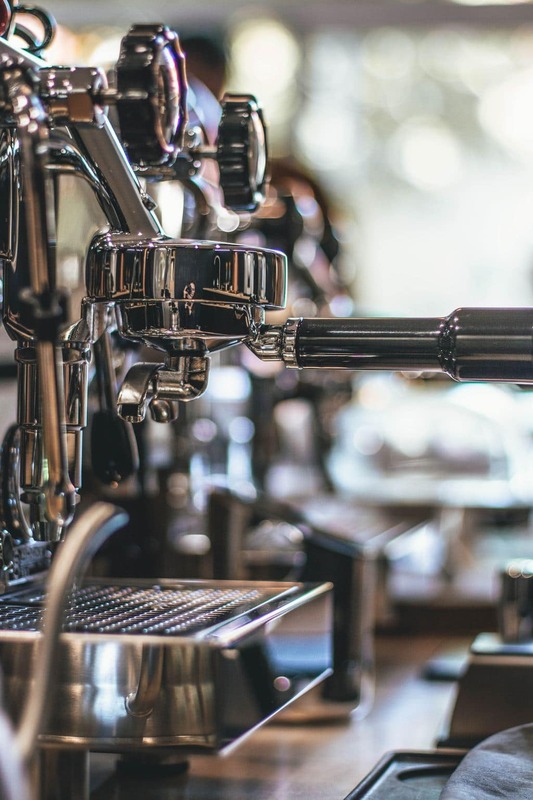 Espresso machines have a pretty interesting history, going through a number of innovations before arriving at the modern beauties we see today. They came to provide a sense of control and convenience that just isn’t possible with manual brewing methods of old. Of course, with these innovations came disputes over what’s the best way to brew your espresso. The main split arose around semi-automatic vs automatic machines. We’re here to show you the differences in shot pulling automation and break down which machine would probably work best for you. Espresso machine history begins in the age of steam with a man named Angelo Moriondo. He is credited with creating the first iteration of the modern espresso machine, which used steam, higher pressure, and tightly packed grounds. Luigi Bezzerra and Desiderio Pavoni each improved upon Moriondo’s design. They perfected many of the key elements of today’s espresso machines, including the portafilter, pressure release valve, and steam wand. Achille Gaggia (a brand name that still exists today), finally introduced the barista-operated spring-piston lever, which improved pressure control. This is where “pulling a shot” and the crema hype came to life. Regardless of what machine pulls your shot, a good machine will use a similar process and brewing parameters to achieve the best espresso. To pull a shot, 190°-200° F water is pumped through a “puck” (tightly packed disk) of very finely ground coffee beans. This is done with at least 9 atmospheres of pressure and produces about one ounce of espresso (unless it’s a lungo or ristretto). Semi-automatic machines were developed as an improvement to Gaggia’s design. In 1961, Ernesto Valente developed a design that used a motorized pump mechanism that eliminated the need to a barista to manually pump the piston to achieve the pressure needed for a shot. This is the design off of which semi-automatic machines are still based. A barista simply uses a button or lever to start the shot pulling and decides when to stop it. The second part of that is really what separates semi-automatics from fully and super-automatics. The barista, rather than the machine, decides exactly when the shot is done. These machines also typically require you to grind and tamp (press the grounds to create the puck we mentioned earlier) your own beans. Now, semi-automatics are more commonly used in commercial settings and tend to have more group heads to pull several shots at once or in close succession. Fully-automatic machines are obviously the next step in automated brewing. They eliminate the need to manually control the brew time. These machines feature what is often referred to as a “flowmeter.” The flowmeter monitors and controls exactly how much water passes through the puck and stops the flow when the appropriate amount has filtered through. While these machines DO automate the brewing process they do NOT do all of the work for you. You are still going to have to grind and tamp your own beans, like with a semi-automatic. Unlike fully-automatics, super-automatic machines CAN do almost everything for you. They have the same capabilities as fully-automatics (the terms are often used interchangeably actually). However, semi-automatic machines generally have a few “extra” features to make them even more convenient. Most of them tamp your grounds for you and many of them even grind the beans. Some super-automatics also have automatic milk frothers or steamers that add the dairy element directly into your cup. Additionally, many of the higher end options have a high amount of programmability that you can access through a display on the machine. If you have a super busy lifestyle, tamping and grinding your own beans probably isn’t going to work for you. In that case, a super-automatic machine might be the way to go. On the other hand, if you like to have your espresso brewing as a “moment” in your day, try a semi-automatic. These machines will give you a more intimate connection to your brewing experience since you are much more involved. Looking for something in between? Try a fully-automatic machine with semi-automatic backup features (or vice versa). As a baseline, a super-automatic machine is going to be more expensive than a semi-automatic machine. Machines with more fully-automatic capabilities generally fall somewhere in the middle. However, you may have to purchase certain accessories, such as a grinder to go with you machine, especially semi-automatics. So, keep that in mind before you buy. Regardless of which machine you choose, chances are it’ll pay for itself within a year if you’re a coffee shop regular. It’s definitely worth saving up for in our opinion. We personally recommend getting a semi-automatic machine if you have a taste for the nuances in your espresso. They give you the greatest amount of control over your brew. Plus, if you’re willing to splurge on a high-end semi-automatic machine, you will probably also have fully automatic features to utilize when you are busier.